What’s this? What’s this? There is Fall in the air. What’s this? What’s this? I feel like decorating EVERYWHERE! 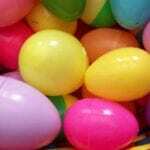 Can you guess what I am decorating with? Yep, you guessed it! 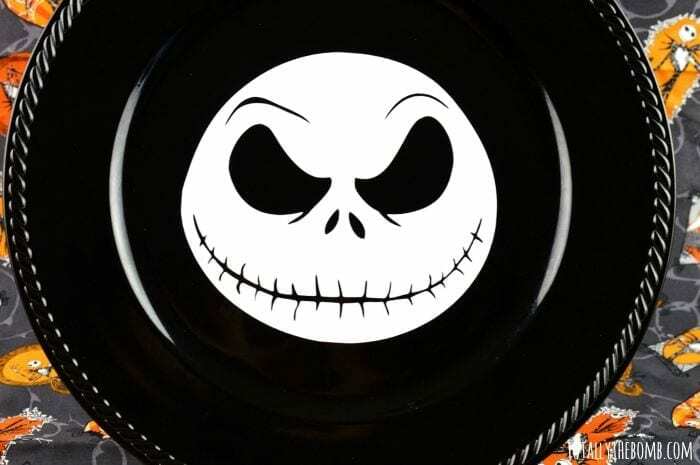 Jack Skellington! I just love him and I love this movie. Luckily, my husband does too so we are good to go if I decide to decorate my home in Nightmare Before Christmas stuff all year long. 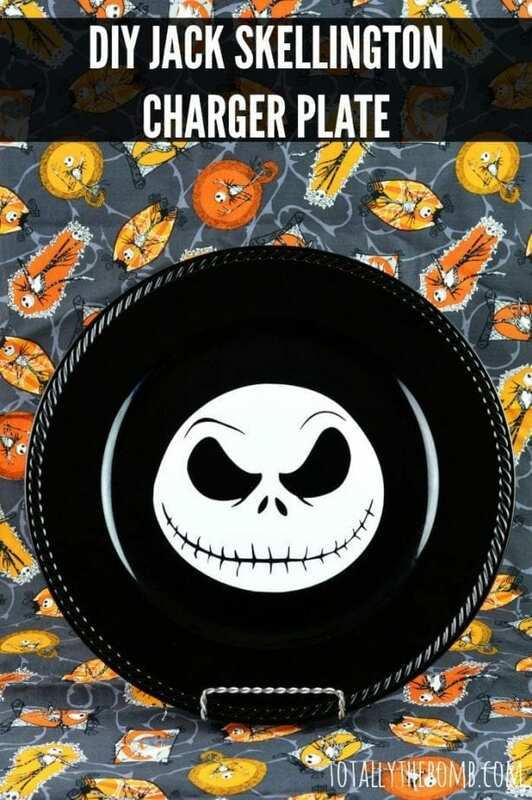 Today I want to share this totally awesome Jack Skellington Charger Plate I made for my entry way. It’s easy but looks oh so cool or creepy and dark (whichever you prefer). 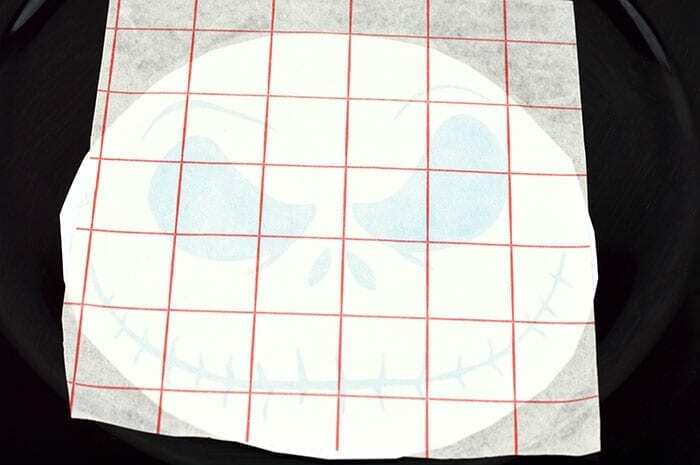 Search Google and find the Jack Skellington image you want to use and trace. Save it to your computer and upload it into your Silhouette Studio software. Trace your image until it looks the way you want. 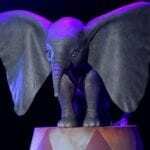 You may need to resize it. 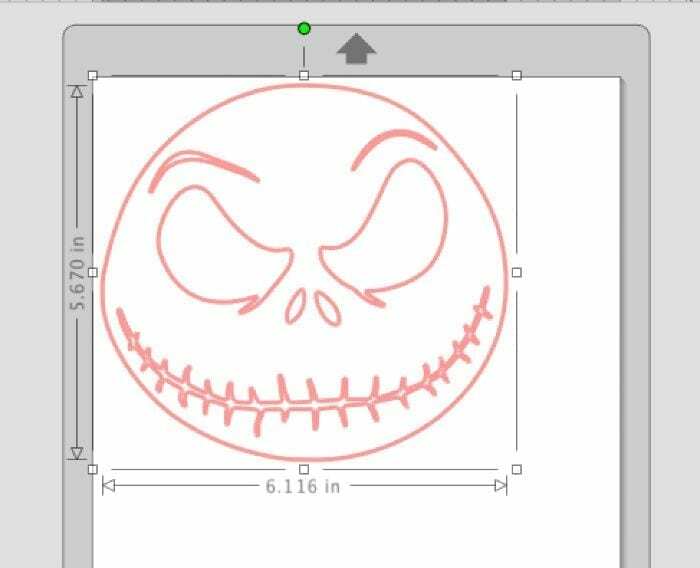 With the size of the charger plate I used, (standard size) I made my Jack Skellington face 5.670″ X 6.116″ and it fit perfectly on the plate. Cut it out using your machine and white vinyl. 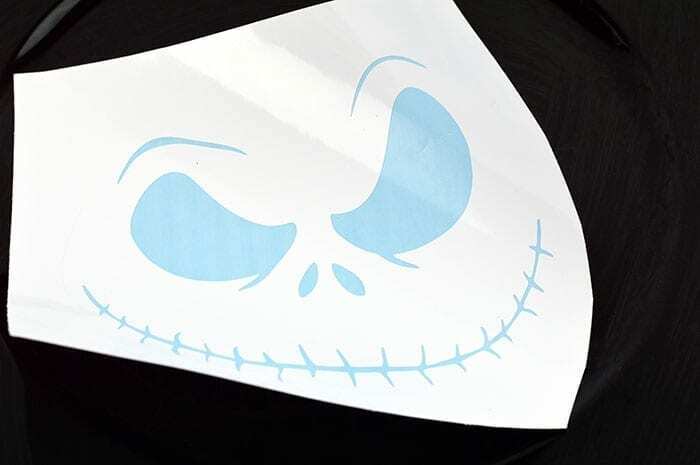 Once your image is weeded, apply the transfer tape over the top of your vinyl. Use your scraper tool to smooth out any imperfections and gently pull away so the image transfers. Align the vinyl cut out on your plate by eyeballing it before you press down. Once pressed down, it’s nearly impossible to remove and replace. Apply pressure over the entire cutout until the transfer tape can be gently pulled away leaving the vinyl on the charger plate. Once the vinyl is smoothed out all that is left to do is add the charger plate to plate holder and display for all to see! This is so cute. My daughter is such a fan of Tim Burton. I think she has seen this movie 19 times. So I’m going to share this with her and let her make something using your method. Thanks for coming up with such a great idea! Mine too! I’m glad you like it!